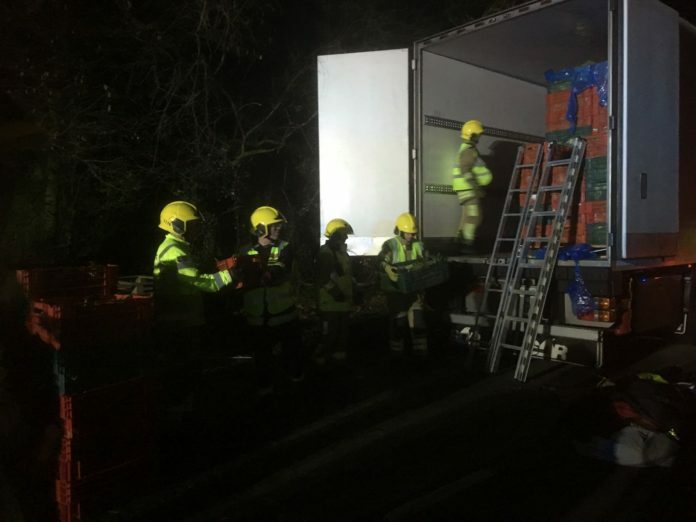 Fire crews from around Hampshire including Basingstoke, Whitchurch and Overton were called to a scene on Newbury Road in Whitchurch at around 3 am this morning (Tuesday) to assist police over reports of hazardous material being amongst lettuces in the HGV. Emergency services were required to search thousands of lettuces following the call. Police have later confirmed that a total of six people have been arrested in connection with immigration offences are currently detained and have been handed over to the UK Border Force. Fire crews had spent over an hour conducting the amusing search.